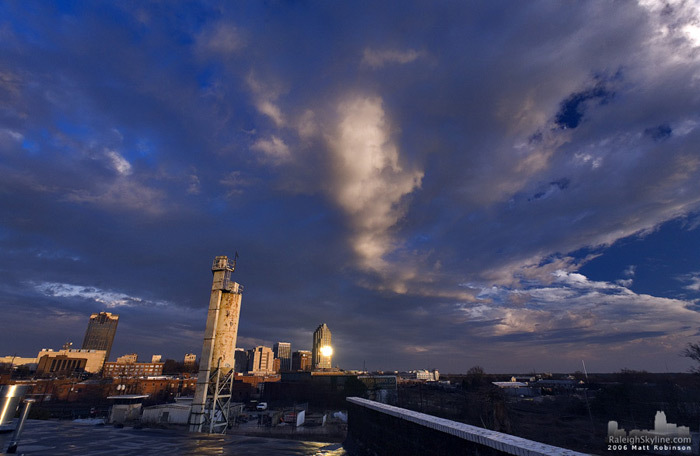 A rain shower passing through Raleigh right at sunset provided some interesting results. 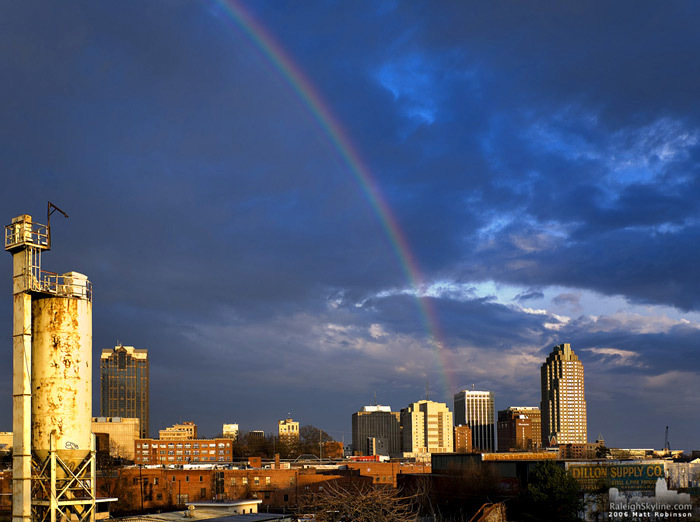 A rainbow cascades down and rests on downtown Raleigh. 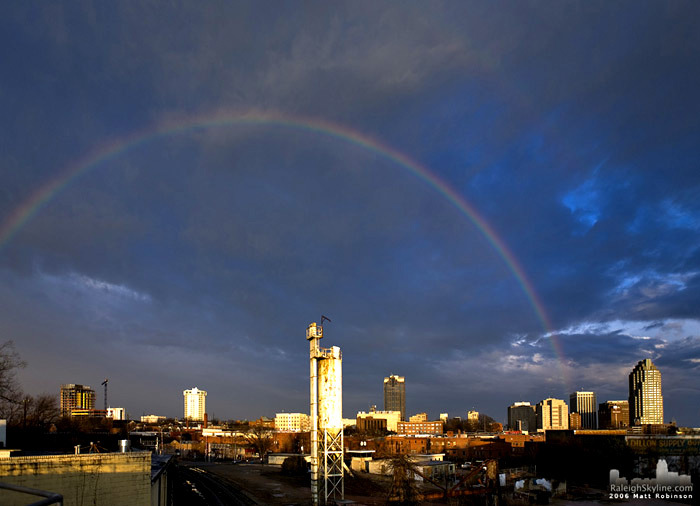 A rainbow archs across the sky over Downtown Raleigh. 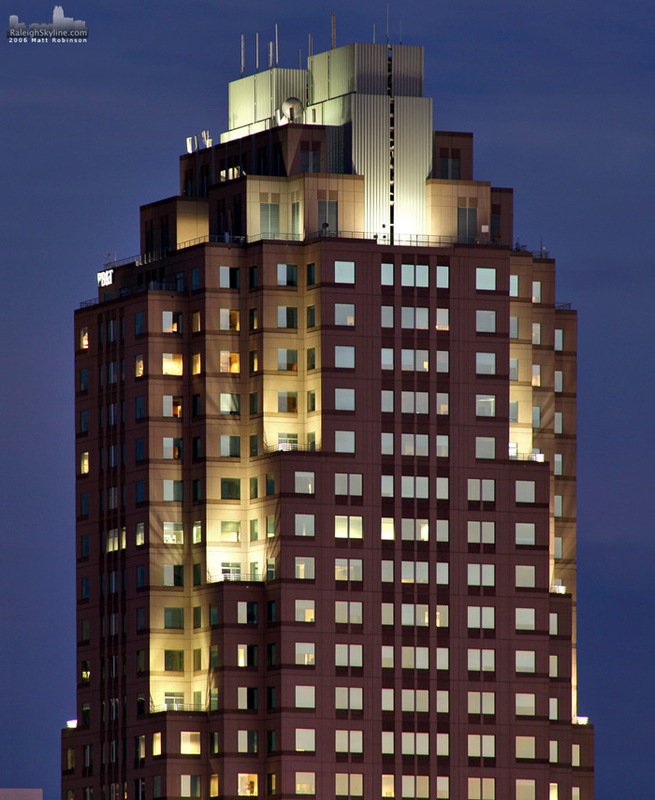 The sun begins to set and provides excellent lightning of the clouds over Raleigh. 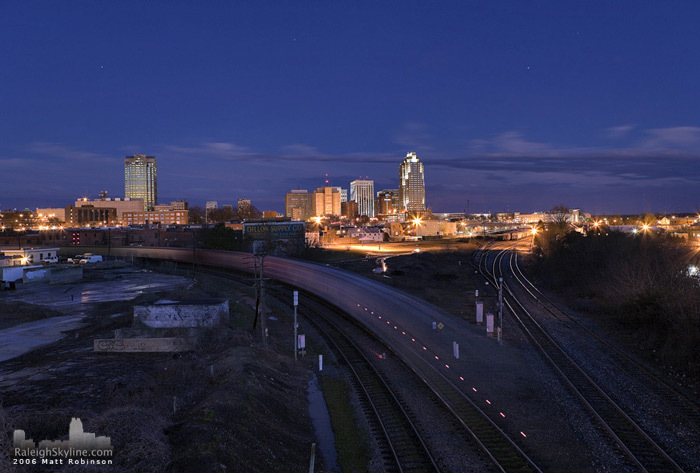 A CSX train creeps past Downtown Raleigh. 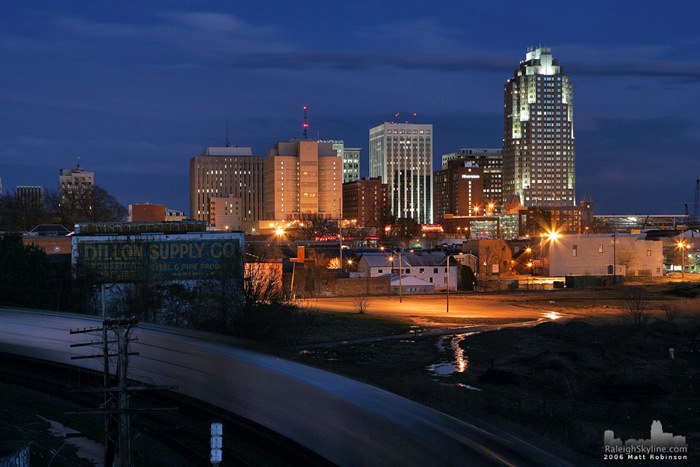 The last car of a long train sweeps past downtown Raleigh.